The What: NEC Display Solutions of America has launched two new projector series. The MC and ME series consolidate NEC’s former entry-level projector series to streamline choices for customers. Designed primarily for K-12 education, house of worship classrooms, and small business applications, the five new models provide between 3700 and 4000 lumens and offer XGA, WXGA, or WUXGA resolution. The What Else: The new MC series projectors—MC372X and MC382W—replace the models in NEC’s popular VE and V series. These models offer an upgrade for entry-level projector customers, including increased brightness, better connectivity, network capability, and longer lamp life. The three new ME series projectors—ME402X, ME372W, and ME382U—replace models in NEC’s first-generation ME series, offering longer lamp life and a broad choice of resolutions. Each MC and ME model includes a standard zoom lens to ease installation. MC series projectors have a 1.2X zoom lens, and ME series projectors have a broad 1.7X zoom lens for even greater installation flexibility. The ME Series lens allows for a greater range of placement options. 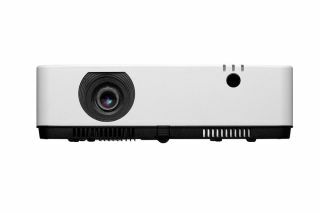 The Bottom Line: NEC's MC and ME series projectors are backed by the company's three-year warranty and include the InstaCare advance exchange program for the duration of the warranty. They will be available in February 2019.